Description: This is your standard fridge magnet, perfect for holding up quite a bit of weight. 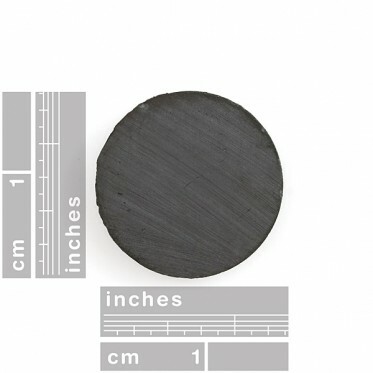 Grade C8, ceramic disk magnet. Magnetization is throughout the thickness of the magnet. We used this part with the SparkFun flame kits found at our various workshops. Attachable with double stick tape or hot-glue.